Daniel Hemric #8 ALSCO Chevy Camaro-White and light green can work quite well, when there is a decent amount of dark green added. In this case, there needs to be more dark green. It’s not terrible, but there needs to be more dark green. All things considered, I give it a B.
Martin Truex Jr. #19 Bass Pro Shops Toyota Camry-Same scheme as last year, same C- grade. 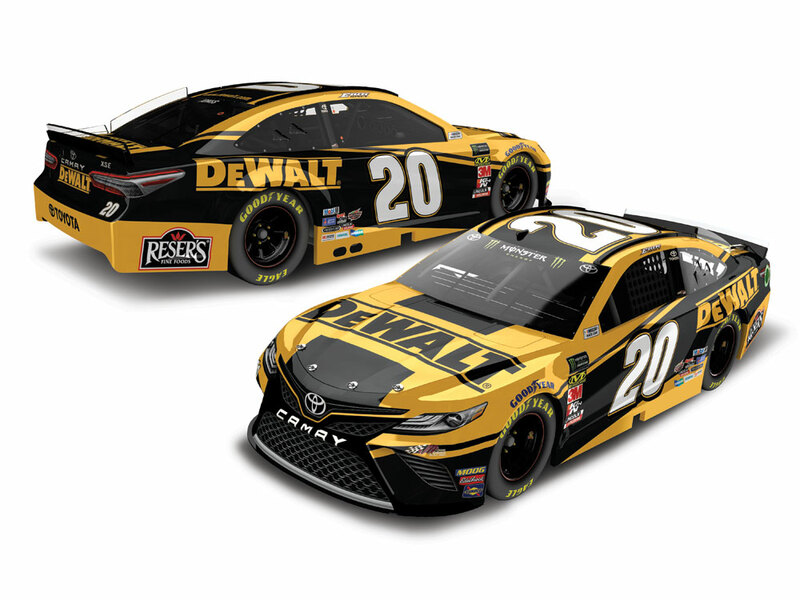 Erik Jones #20 DeWalt Toyota Camry-Same scheme as last year, same A grade. 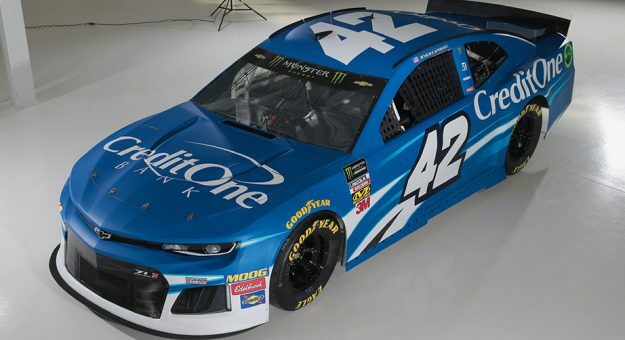 Jamie McMurray #40 McDonald’s/Cessna Chevy Camaro-I loved the McDonald’s/Cessna scheme from last year, and this toned down version is even better! This is a great scheme, and I can’t give this anything less than an A.